At UConn, Craig Kennedy will also be a faculty member in the Neag School of Education’s Department of Educational Psychology and will receive a “courtesy appointment” in the School of Medicine’s Department of Pediatrics. 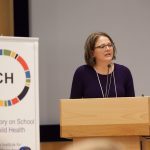 A growing awareness of the prevalence of childhood exposure to trauma and an increased understanding of its corrosive, potentially lifelong impacts on health and behavior together are fueling a national movement to create trauma-informed schools, says InCHIP Principal Investigator (PI) Sandra Chafouleas. School officials did not have to go far when searching for a permanent superintendent, tabbing present assistant superintendent Dr. Jack Zamary as the town’s next top educator. 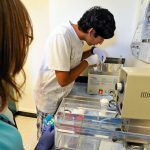 Through a generous $300,000 award from the Jack Kent Cooke Foundation, high school seniors enrolled in the foundation’s Young Scholars Program will be able to pursue areas of interest and advanced learning for a three-week residential program housed on the University of Connecticut’s Storrs campus in the summer of 2018. A new grant to support Connecticut teachers, the Rogers Educational Innovation Fund, has been established by the Neag School of Education thorough a legacy gift of $125,000 from Neag School Professor Emeritus Vincent Rogers. The expanded Rogers Educational Innovation Fund will provide a $5,000 grant annually in support of innovative projects carried out by teachers in Connecticut. Superintendent Patricia Charles worked her last day in the district on Nov. 9, completing more than five years leading city schools through a period of turmoil, tightening budgets and financial uncertainty. Charles said during her tenure the district has made great progress in trimming costs, keeping special education students in the district and ensuring resources are distributed equally to students. The Board of Education appointed Craig Creller as the district’s interim chief academic officer Tuesday night. Creller will serve in the role for the remainder of the 2017-18 academic year. Creller has served as the district’s K-12 mathematics instructional specialist for the past seven years. He is currently enrolled in the Neag School of Education Superintendent Leadership program at the University of Connecticut. Amid calls to strengthen civic education, IES has funded several interventions that are leveraging technological innovation and game design to engage students. Congratulations to Violet Sims, who has been elected to the New Britain Board of Education on the Democratic ticket.